We recently produced this short video that gives an idea of what the academy does and the impact it has on it's local community. It's our pleasure to be able to support The UTS Foundation, a charity that offers a range of specific and targeted fitness, health and well being activities for the most vulnerable members of our community; including (post) cancer care, mental ill health, special needs, disadvantaged children and adults and ex-military veterans. Another industry award win for SSENetworks and Karrdale safety programme 'Influencing Behaviours' at the Network Awards 2019 in Birmingham, in the Safety Initiative of the Year category. It was one of three for SSEN after also scooping Engineering Project of the Year for the Caithness-Moray transmission link, and Stakeholder Engagement Initiative of the Year for their SAVE project. The introduction of SSEN’s safety licence, ‘If it’s not safe, we don’t do it’ and the rollout of the ‘Influencing Behaviours’ training programme with behavioural science partner Karrdale was recognised for its exceptional commitment to all-round health and safety going beyond statutory requirements. Intended to be more than just a slogan, SSEN’s safety licence gives individuals at all levels the empowerment and authority to stop a job or activity if they are concerned for their own personal safety and that of others, providing a direct message that safety always comes first to make sure everyone goes home safe at the end of the working day. The ‘Influencing Behaviours’ programme was delivered to more than 4,600 employees and contract partners at 30 different locations across SSEN’s network areas north and south, challenging delegates to think differently about their own beliefs and behaviours, promoting the importance of interdependency and promoting a positive safety culture across the organisation. Karrdale are pleased to announce a recently agreed 3 year contract with SSEN to continue to deliver Influencing Behaviours for new starters and supply chain partners. We are pleased to announce that we are providing sponsorship support to Senjokai Karate Academy based in Stewarton, Scotland. The Academy is a family orientated martial arts school teaching the Shotokan style of Japanese Karate. With its modern approach and traditional values, it has grown into one of the largest and most successful traditional Karate groups in Scotland. We are excited to announce that we have a book coming out called Inspiring Safe Communities - A Guide to Safety, Wellbeing and Communities, which will be available to purchase on our website before Christmas. Keep an eye out for updates including pre-order details which will follow on shortly. The workplace is currently experiencing a jam when it comes to safety & wellbeing, leaving many scratching their heads for an engaging way forward. The motivation to create positive environments of care is strong, but the lack of new ideas is forcing companies into regurgitating the same models, ones that reached the pinnacle of success a long time ago and the risk of these important topics becoming boring and less meaningful for the worker is drawing closer. Companies are very aware that safety compliance alone will never be the panacea of safety & wellbeing and that a safety or quality failing could fold their business at a rapid rate. A common need for survival, be this for the individual, family, team or business, is driving people at all levels within companies to look for new ways to engage and find a way forward. Leaders know there is an engagement jam, we hope this guide can assist with unblocking it! A big warm welcome to Dave, who has recently become the latest addition to the Karrdale family. We are pleased to announce the addition of Brian Morris to our ever-growing family. Brian brings a wealth of training delivery knowledge with him along with valuable offshore and front-line experience having worked in multiple industries across his career. Some of our clients will already recognise Brian, having been working in partnership with us on some of our larger contracts and today marks the day he joins the company on a permanent basis. “We are delighted that the introduction of our licence and ‘Influencing Behaviours’ programme has been recognised by the industry. This is testament to the competence of our behavioural science partner Karrdale and everyone’s hard work across the business in both the roll out of the programme and in making sure it remains central to the work that we do"
We started working with SSEN in early 2017 when we were asked to help develop and deliver a bespoke training programme focused on the people side of safety, whilst working alongside their HSE department to produce sessions that would resonate with all of those within the business, regardless of job role. The Influencing Behaviours programme was born and the initial rollout was delivered from the summer of 2017 to early 2018, which took us from the Shetland Islands all the way down to the Isle of Wight. We have also delivered Safety Champions workshops, where those in attendance build upon the knowledge gained from the initial Influencing Behaviour sessions, to then develop the safety community promoted initially. Due to the success of the programme, we have been contracted to deliver a 3-year support programme to capture new starters within the business and third party contractor companies. It has also led to other business areas of SSE implementing the Influencing Behaviours programme and we are currently scheduled to deliver to Enterprise, Wholesale and Retail, having already delivered to Corporate earlier on in the year. When completed, we will have trained approximately 20,000 SSE and contractor partner personnel. The success of SSEN's programme is a clear indication of intent from the leadership within the business which was driven by the Head of Safety, Health and Environment, Richard Gough. The passion needed to make a difference was clear from everyone involved in the development and organisation of the programme, from Colin Nicol, MD of SSEN, to the runners helping out on the day of the training sessions. This award is thoroughly deserved and all of us at Karrdale are delighted that everyone's efforts have been recognised by the Utilities industry and would also like to thank Richard Gough at SSEN for asking us to assist in this important initiative. Happy Birthday to us! Today we celebrate our 2nd Birthday and would like to thank all of our clients and followers for their support. It's been a very busy year for us and our next is due to be even busier. 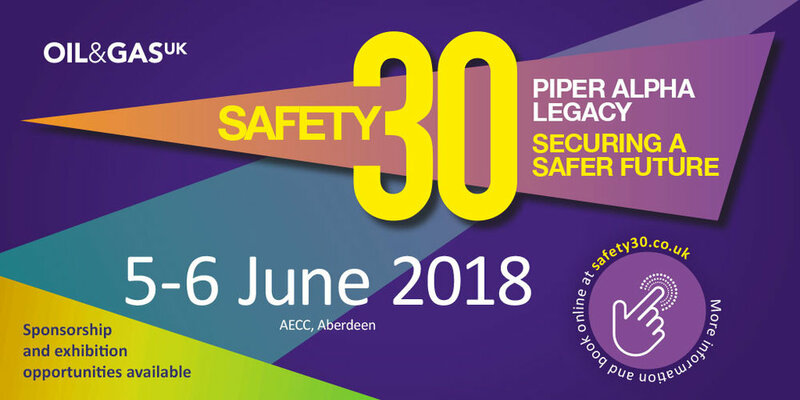 Chris Woods delivered a 40 minute session in partnership with Jade Crotty, Regional Director - HSSQ at Stork, a Fluor company, at this years' Oil & Gas UK Safety 30 - Piper Alpha Legacy event in Aberdeen. The session focused on Inspiring Safe Communities® and the importance of a Your Zero® mindset. 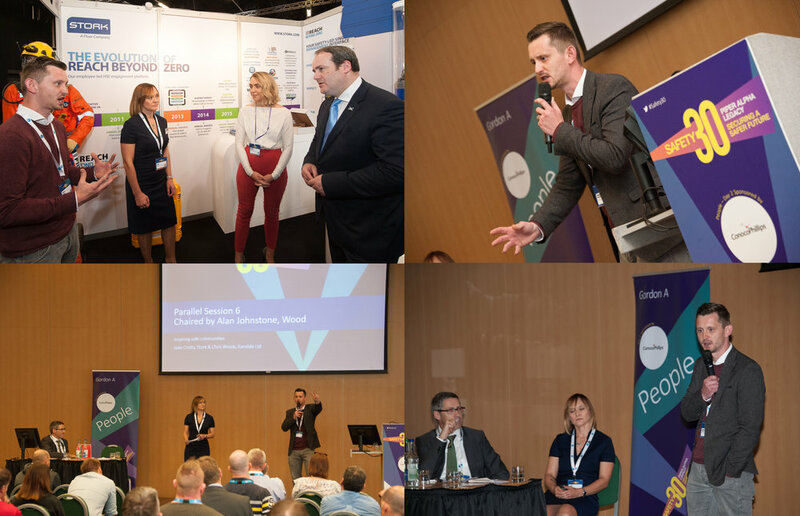 Chris discussed this with the Minister for Business, Innovation & Energy Paul Wheelhouse MSP, who was also spoke at the event. Eddie Woods has written a short article for Fortress Health focused on anxiety and stress when it comes to health. Please visit the Fortress Health website where you will find other really helpful information, no matter your circumstance. Thank you to all of our clients and social media followers for supporting us throughout 2017. We hope we have helped where we have been asked to and continue to assist in 2018. We are taking a well-earned break with our Christmas shutdown period being from 18th December until 8th January. Here we are easing into it at our recent Christmas get-together In Glasgow. Ryan, Eddie, Chris and Mark - Karrdale. We are delighted to welcome Mark Woods to the Karrdale family as part of the training team. Mark joins us with a strong financial services training background, proving that what we talk about isn't just limited to safety. WHAT IS 'HUMAN ERROR' AND HOW CAN IT IMPACT ME AND MY ORGANISATION? It was a pleasure to be asked to speak at BAE Systems UK SHE 2017 Conference in Blackpool yesterday. Chris delivered an hour long session focusing on employee engagement and the importance of creating safe communities. There were two great presentations earlier in the afternoon from Phil Crosbie of Eversheds and Dave Shorrock of DS Risk Management, helping those that attended the conference take advantage of the expertise availble across a number of topics. We are proud to sponsor the Welsh Alliance Division 2 football club Meliden FC's number 8 James Cairns for the 2017 / 2018 season. 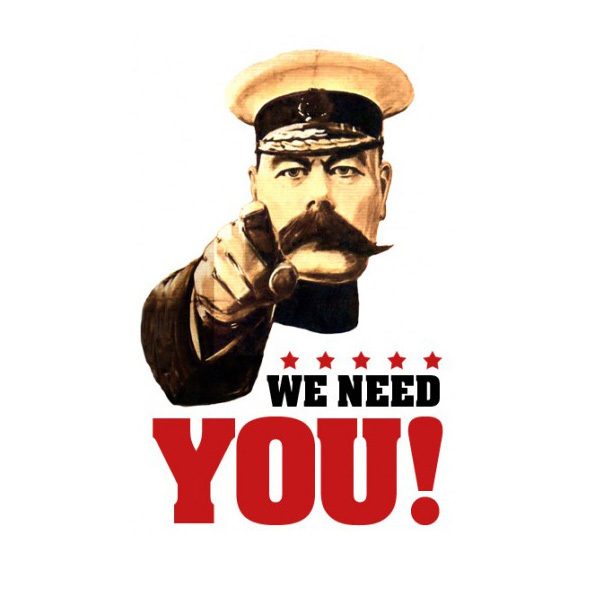 Meliden are striving for promotion to the Welsh Alliance Division 1 and we wish them the very best of luck. COME ON THE MINERS! We are delighted to inform you of a free IOSH Webinar with Eddie Woods on the 15th September at 12.30pm. 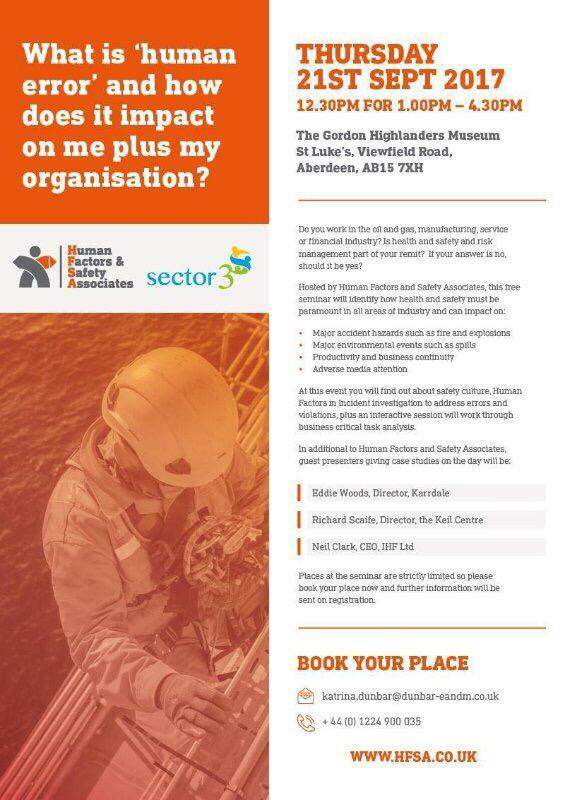 Eddie will be discussing how normal human behaviour can impact on safety, and how we can build protective measures into our activities within the workplace - Spaces are limited so please register ASAP by CLICKING HERE. We are now 1 year old! Thank you to all of our clients and social media followers for your continued support. Gatwick Airport has won three awards for the first time at the annual Royal Society for the Prevention of Accidents (RoSPA) awards ceremony, recognising the airport’s commitment to environment, health and safety (EHS) initiatives. For the first time, the airport’s construction team was recognised with a ‘Highly Commended’ in the Industry Sector Award category for Construction Engineering. This competitive category is classed as a ‘major award’ by RoSPA and the award was given for demonstrating a robust and high quality health and safety management system across all construction projects at the airport. In addition, Gatwick’s operations team picked up the International Dilmun Environmental Trophy, also considered a ‘major award’, and only given to one organisation each year. The Trophy was awarded in recognition of the airport’s Decade of Change strategy, which maps out how Gatwick aims to grow sustainably through responsible environmental management and performance, coupled with strong community programmes. This follows recent news from the Airport that it has achieved carbon neutral status. The third award is a ‘Gold Award’ in the ‘Achievement’ category and is one that Gatwick is receiving for the fifth consecutive year. It recognises the airport for demonstrating high performance against its own individual EHS criteria under the ’Gatwick SAFE’ strategy, which sets out six core objectives covering: Leadership, Competence & Training, Health & Wellbeing, Communication & Engagement, Environmental Stewardship and Performance Improvement. “We are extremely proud to have been recognised with these awards. This achievement is testament to the entire Gatwick construction team, including all of our contractors, who work collaboratively on a day-to-day basis to ensure the successful and safe delivery of our projects across the airport. “The RoSPA Awards are the most prestigious in the world of occupational health and safety, and held in high regard around the world, as winning one demonstrates an organisation’s commitment to maintaining an excellent health and safety record. Achieving the standard required is no mean feat.